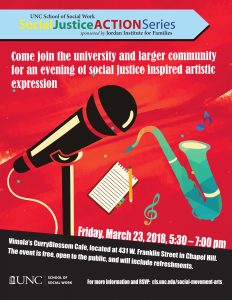 Come join the university and larger community for an evening of social justice inspired artistic expression. 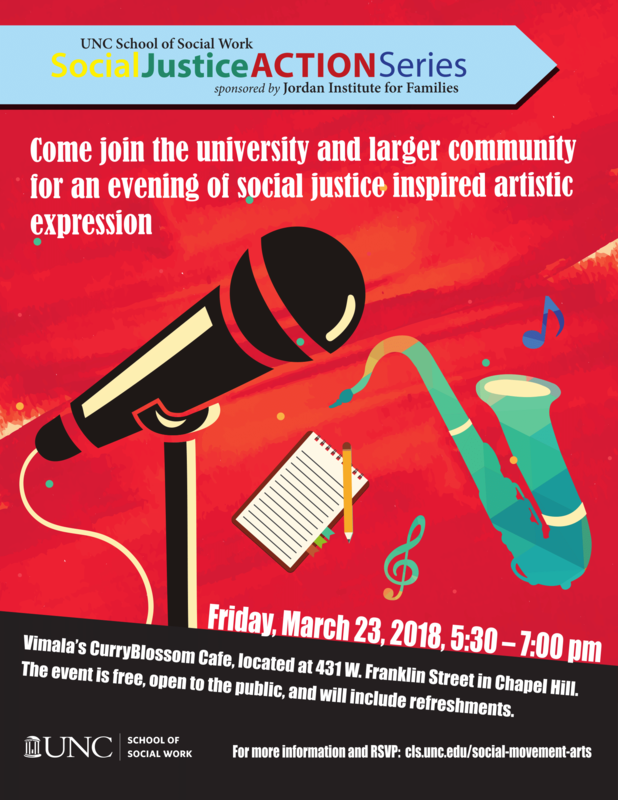 Social Movement & Arts will be held at Vimala’s CurryBlossom Cafe, located at 431 W. Franklin Street in Chapel Hill. The event is free, open to the public, and will include refreshments. Please sign up here if you would like to share or perform your art!